In the last post, I defined slow travel and outlined 3 slow travel myths. 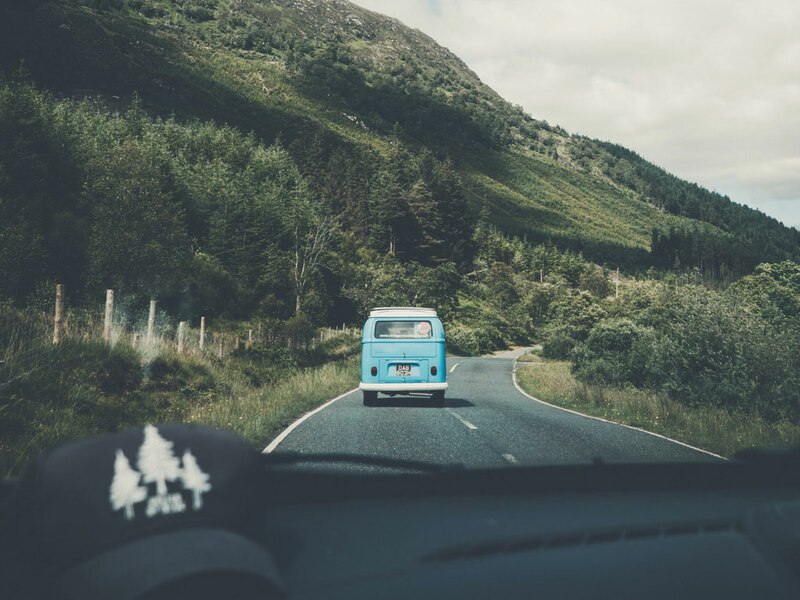 If you’re ready to get started with slow travel, the tips in this post will put you on the right path. Just like you don’t want to live a superficial life, don’t skim the surface of your travel. Live—and travel—intentionally. Go deep! 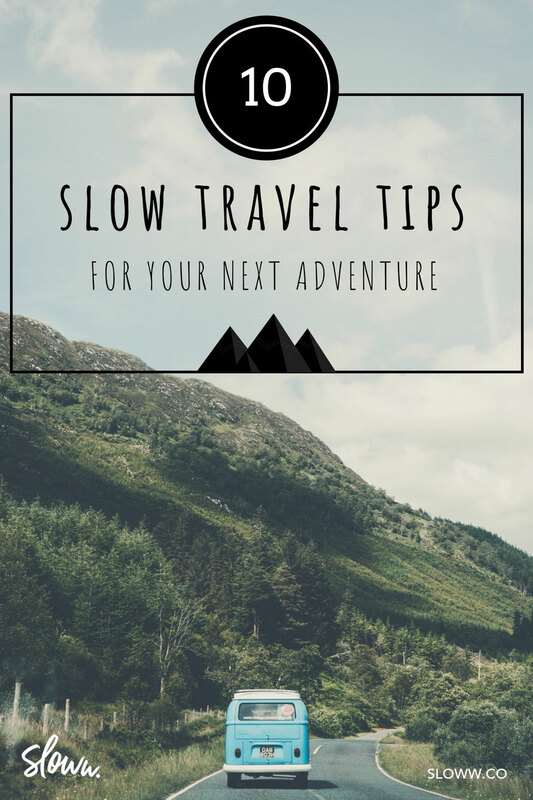 These slow travel tips are based on my own research and personal experience. I believe traveling this way is better for you, your wallet, local communities, and the environment. 1) Go into it with the mindset of living like you’re at home, or even better, living like a local: Traveling shouldn’t be an excuse to live unsustainably or in an unhealthy way. Your mindset will impact why and how you travel. And, good home habits should travel with you. 2) Do all your homework ahead of time: My wife and I used to wing it when it came to travel. Ironically, we are buttoned up in our day-to-day lives, but travel planning always seemed to happen after the trip had already started. Once we started living intentionally, we realized that our time is the most important thing we have. And, time spent traveling is limited. So, now all the planning happens in advance through just-in-time learning. This is also helpful if something causes your initial plans to change at the last minute. You’ve already done all the homework and can adapt and be flexible in a more time-efficient way. 3) Know yourself and your top priority each day: Priority is intentionally singular. Know why you are traveling and plan what is best for your interests. For my wife and me, we like being active and sightseeing. We tend to avoid tourist traps, chain restaurants, boutique hotels, and things like that. One important fact that we all need to accept is that we can’t do everything: we can’t choose every path in life, we can’t learn everything, we can’t read every book, we can’t see every square foot of the Earth, and we can’t see and do every single thing when we travel. Intentionally pick the things that will make your final itinerary. Follow essentialism, the disciplined pursuit of less but better. 4) Balance your itinerary and leave open time to create space, margin, and spontaneity: I’ve created a habit of time blocking my daily schedule. I follow the same approach for travel. Stick to scheduled times, but allow the rest to fall into place naturally with plenty of space and margin incorporated. You never know when you may discover something off the beaten path. 5) Do less to experience more: Reject FOMO! As people continue to pick experiences over things, we can all learn how to have the best experiences possible. Just like the hedonic treadmill of lifestyle inflation and endless consumption, the same can apply to experiences if we aren’t careful. The concept of “less is more” isn’t just for your things. It also applies to your time. Having less is more. And, doing less is more. It will give you more time to deeply immerse yourself in the few experiences you decide to do. You’ll be able to savor the experiences instead of counting down to the next to-do or to-see on your list. 6) Connect with the world around you: Instead of rushing through everything, stop often. My wife and I did a mountain biking trail in Lake Tahoe that takes the average person roughly 3 hours. It took us 5! We stopped a bunch, jumped in a lake to cool off, and found countless opportunities to savor the breathtaking views or take a picture. I’m all for taking photos and videos on trips. If you plan enough time in your schedule, you should have plenty of time to take pictures as well as actually soak in the natural splendor (forest bathing, anyone?). Just follow digital minimalism and don’t live your trip through your lens. That’s the sign of a schedule that’s packed way too tightly. 7) Save money or spend locally: Traveling also shouldn’t be an excuse to blow a bunch of money. We try to apply the principles of FIRE (Financial Independence Retire Early) at home or on the road. But, it’s not just about saving money. It’s about you “voting” where your dollars go. When you spend, try to spend in a way that supports the local community. 8) Eat local, healthy food: Inspired by the Blue Zones diet, we try to eat healthy, plant-based food. Or, you can apply the SLOW acronym of Sustainable, Local, Organic, and Whole. Our process here is fairly simple. We use Yelp as a starting place to see our options in a location and then filter from there. We’re almost always able to find a local place to eat, and usually opt for organic, vegan, or vegetarian options. Depending on how long we’ll be in a location, we’ll also go to a grocery store to stock up on healthy food and save even more money. 9) Do everything at the right pace: Just like slow living, not everything about slow travel is literally slow. Just ask my heart rate while hiking and mountain biking! 10) Find joy in the journey: It’s about the journey, not the checkboxes on your sightseeing list. Always remember the story of the tourist and the fisherman. You can choose to be the fisherman. Do you have any experience slow traveling? Please share in the comments! Thanks, for sharing 10 excellent tips for travel. I fully agree with this article. I seem when we traveling, we should download an offline version of the area you are in on Google Maps. I would love to credit my impeccable map reading skills, but in reality, I usually rely on Google Maps to determine my location. Whenever possible, Cameron and I download offline versions of these maps which let the app run smoothly without WiFi. Thank you, John. Good addition! Amazing article and tips guys. I’ve read it with such a big pleasure, and I felt each of them. I’ve traveled a bit, just 14 countries till now, but I can say you have an amazing list of tips. Keep up with the good work. Thank you, Smith. Hopefully you can apply some of the slow travel tips on your 15th country and beyond! Nice blog. I love traveling because it’s always fun with family and friends. Also, the more you travel the more you explore. Great tips! Eating local healthy food is a must for me – I love discovering new tastes and new foods. Thanks Jessica, and same here! Thanks a ton. I love your no-nonsense approach to all this.